1. Welcome, this is Terry Ewell. Study #18 focusses on mastery of two things that are difficult to do on the bassoon: downward slurs and balancing registers. On the bassoon it is easier to emphasize the lower note when slurring a large interval. However, the downward slurs should be performed without an accent on the lower note. 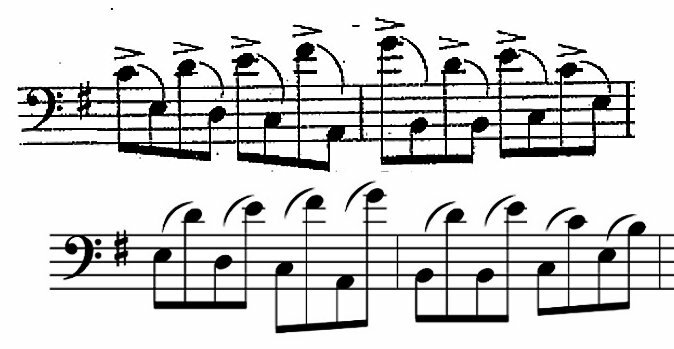 In fact Weissenborn even indicates that the upper note should be accented leaving the lower note with a graceful resolution. In this study the accents are made with increased air during the upper notes. Then you need to diminuendo to the lower notes. 2. 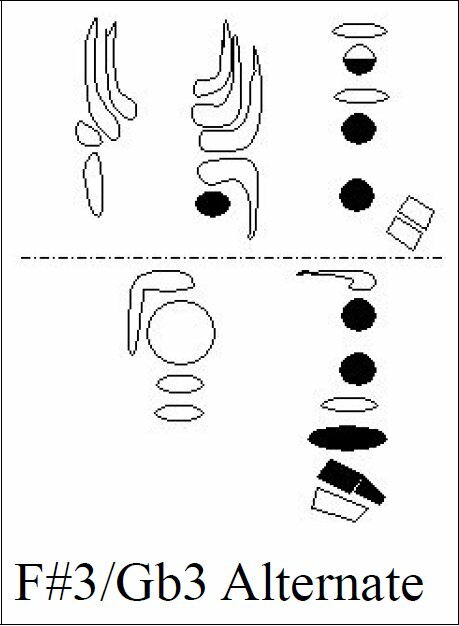 The alternate F# fingerings in line 7 are to help motion to Bb3. I mentioned the use of the little finger F# key in the last study and I hope that you headed my instructions! 3. The second to last line in the study will need special attention. 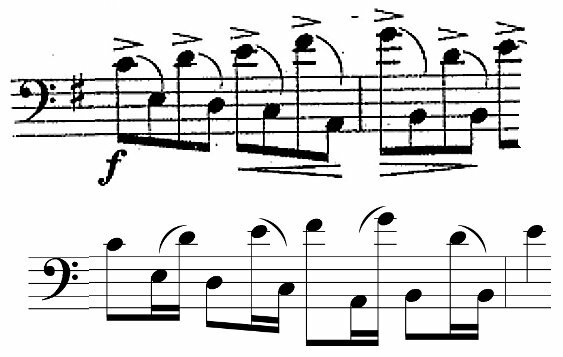 These large leaps include confusing finger patterns. I suggest you adopt these two methods of practice here and where needed elsewhere in the study. 1) Rhythms that break pairings. 4. Practice with both rhythms, eight notes followed by sixteenth notes and sixteenths notes followed by eighth notes. 6. These are words that Jesus spoke about his followers, His sheep. We saw in the last video that Stravinsky’s change of life was due in part to an answer to prayer. He heard God’s voice and followed after Him. 7. So how does a person know whether it is the voice of God speaking or the voice of evil forces? In the next few reflections I provide a summary of an article by Harry Leesment that has been helpful to me and others. 1. Tone of voice. God’s Spirit is gentle and imploring. In contrast evil forces are accusatory and belittling. These other voices are harsh. 2. Specific vs. vague. The Spirit of God points to specific actions you should take to correct your relationship with God and others. The other voices tell you that everything is wrong and there is really nothing you can do to fix it. God directs you to a way out, the others state that there is no way to free yourself. 3. Encouragement vs. discouragement. God's message encourages us to rely on His power not ours. The other voices attack people, discouraging them.